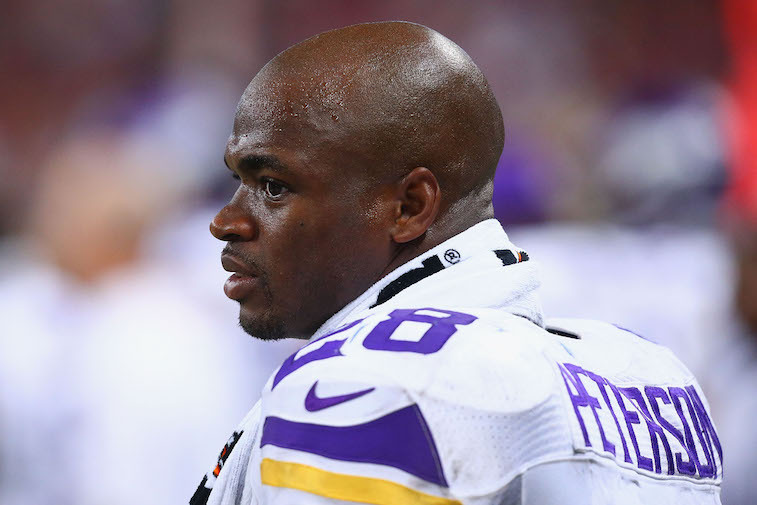 NFL: Is Adrian Peterson Guaranteed a Spot in the Hall of Fame? The Minnesota Vikings were in Canton, Ohio last weekend taking on the Pittsburgh Steelers in the annual Pro Football Hall of Fame Game at Tom Benson Hall of Fame Stadium. The Vikings’ best player, running back Adrian Peterson, didn’t take part in the game, but may have been the most talked about player on either team throughout the weekend and during NBC’s Sunday Night Football broadcast. Everyone, from fantasy football gurus to opposing coaches, want to know how the 30-year-old running back is going to bounce-back after playing in only one game in 2014 following his indictment on a felony charge for reckless or negligent injury to a child. Peterson’s comments piqued our interest and got us wondering whether or not he could really retire today as a “no-brainer” for election into the Pro Football Hall of Fame like he claims. Lets take a minute to look at his career resume. 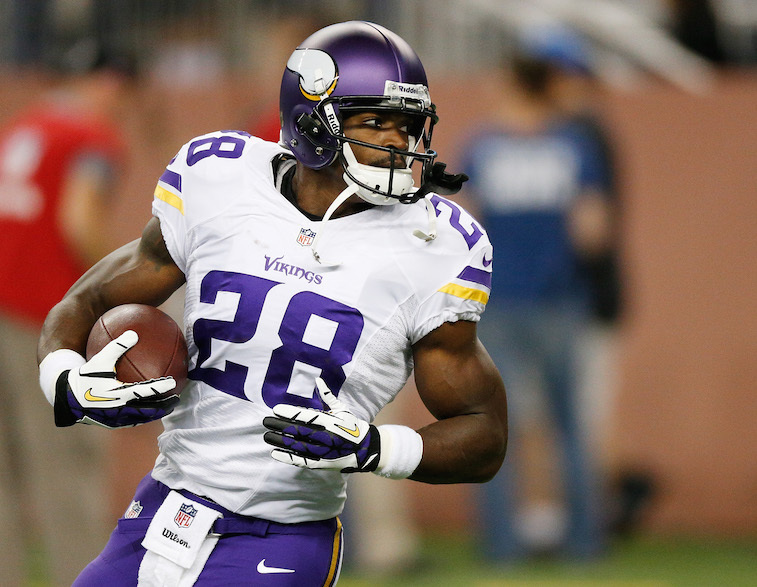 Based on his football resume alone, it’s hard to argue against Peterson’s assertion. In fact, we recently included him in our list of current players who are locks to be elected into the Pro Football Hall of Fame. Where the former Oklahoma Sooner could run into trouble, however, is if the Hall of Fame selection committee remembers him more for his troubles off the field than his dominant play on the field. We’ve seen first hand how the voters for the National Baseball Hall of Fame have treated guys like Pete Rose, Barry Bonds, and Mark McGwire. While that may not be a fair comparison to Peterson given the fact that Rose’s, Bonds’, and McGwire’s missteps all altered the integrity of baseball, it does serve as clear-cut evidence that Hall of Fame selection committees do have the power to bypass some of the best players in their game’s history if they are so inclined. At the end of the day, Peterson can end any uncertainty surrounding his future Hall of Fame status with another All-Pro season or two. As it currently stands, though, we are among those who believe that Peterson has done enough that if he retired today he would still eventually earn his election into the Pro Football Hall of Fame. Maybe not as a first ballot Hall of Famer, but he is a near lock to have a bronze bust in Canton, Ohio within the next 15-20 years.